The Universal R20 Recumbent Bike is a recommendable unit for those that wish to add it in their home gym. 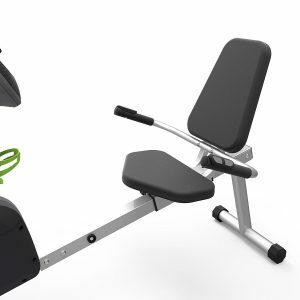 It is affordable and has got features that would keep the user busy and offers some real workout experience that would ultimately help to achieve fitness goals. As at the time of writing this review, the Universal R20 Recumbent Bike has enjoyed the approval of its consumers. Some even believe that the Universal R20 Recumbent Bike is the upgraded version of the now obsolete Schwinn A20 Recumbent Bike. That being said, let’s have an overview of the features/Pros of the Universal R20 Recumbent Bike. The Universal R20 Recumbent Bike is equipped with a fully adjustable ergonomic seat that offers the user the ability to find and use the most suitable and comfortable position during a workout which is very important because comfort adds to working out longer and achieving fitness goals. This allows the accommodation of people of different sizes to fit in and find comfort. It has got 8 levels of magnetic resistance designed to allow a user to choose a difficult or easy workout. Most often, people prefer difficult workout because that tends to work on the overall body and improves endurance. On top of that, it has 7 workout programs to complement the 8 levels of Magnetic resistance because using the preset workouts usually adjust the resistance automatically, nevertheless, you can control the resistance on your own if you so desire. It is sturdy and durable because its frame is made up of sturdy steel step-over that also makes it easy to get on and off without hassle. This unit is smooth, consistent and quiet during operation due to its high-speed inertia perimeter weighted flywheel. Did you know that the Universal R20 Recumbent Bike can be powered with AC adaptor or batteries? Well, yes it can and that will save up your batteries and also makes them last longer when you choose to use the AC Adapter. It has, of course, a decent LCD display that allows you to track your progress and performance by displaying workout data such as speed, time, distance, calories, RPM, and heart rate. It has built-in speakers with media tray for your phone or tablet; you can listen to your favorite music while you workout. The AC adaptor that helps you to save up batteries do not come with the unit upon purchase but has to be purchased separately and this is somehow unusual. The LCD display is not the backlit type, therefore, it will be very difficult to read or view the display in the dark. The speakers are said to be a cheap feature that has a low-quality output. 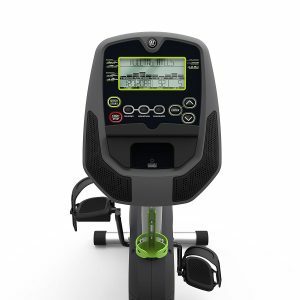 The shipping cost of the Universal R20 Recumbent Bikes depends on where you are purchasing the unit from. For instance, Amazon ships this product for free even as it offers great customer support. Assembly of this unit has been reported to be relatively easy because the major components are pre-assembled. Moreover, it comes with an instruction manual that helps to walk you through the process of assembly. However, you can opt for the service of a special assembly expert to do it for you right in your room. The Universal R20 Recumbent Bike is still a basic bike even though is an upgrade of the Schwinn A20 Recumbent Bike. Nevertheless, it has got features and benefits that make it popular among its consumers so far. I have observed some consumers saying that it has helped them to recover after a knee replacement surgery; I am not even sure if this unit is officially recommended for those in that category but it helped them anyway. This is definitely good recumbent bike especially for those that are on a tight budget and wish to get something that worth the money. Moreover, it is lightweight and compact, therefore, can also fit in a small room. Therefore, if you are looking for a recumbent bike and you are on a budget that cannot provide you any other higher end unit, then the Universal R20 Recumbent Bike is the best option.